BTW, I absolutely love the pictures. Good job! damn you! there's no crying in blogging! i have to go find a tissue. 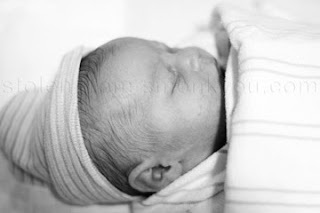 Love the birth story! Don't hear too many from the dad's perspective. Sweet pictures, yo. stunning picture's you must both be so proud, what a gorgeous little boy he is. I loved reading this from the Father's prospective. I'm glad all went great and that there is another rad little Milo(h) in this world. Because they are just a little bit cooler than the rest, in my book at least. Awesome picture of your wife and son at the end of the post. Congrats. you have a beautiful family. How wonderful to read a birth story from a dad's perspective! I loved it. Great story telling. Oh, and that mom and dad were born thing made me a little weepy, too. Congrats!! I love reading your posts because you are a great writer. "Staci was there too." hahaha. Very entertaining... and a wonderful birth story. Very happy for you guys! Congratulation! What a beautiful story and pic. Way to go Staci, you rock!!!! What a great story! Miloh is absolutely beautiful! I'm very happy that everything went well for all of you. I love the pic of Mama and Miloh~priceless. You made me laugh and cry at the same time. I've had five children, I always cry when I hear about a baby being born. The greatest gift that God could have given us sinful humans! It is wonderful to hear this from a dad's perspective. My guy is scared to death of going through this. Perhaps this will help him! I just cried at work. Damn you! Thanks all...I think I was so in the weeds of being a new dad that I never said that. As for crying at work I apologize...the only time you should cry at work is when there are brownies leftover form a meeting and you don't get one.